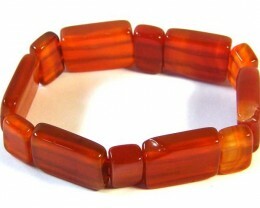 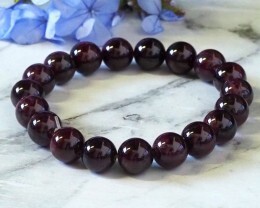 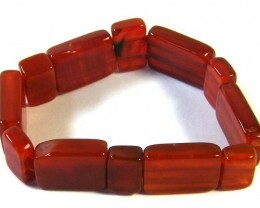 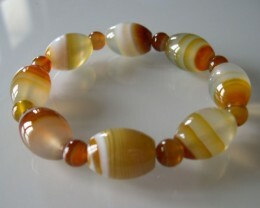 Agate bracelets are popular as large size bracelets are inexpensive and agates are strong stone and do not break easily so do make ideal colourful bracelets especially if different colours are used and even matching colours do give good a display. 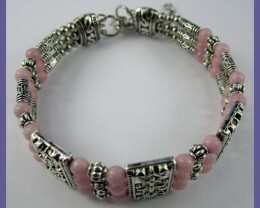 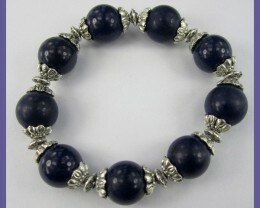 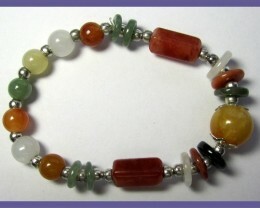 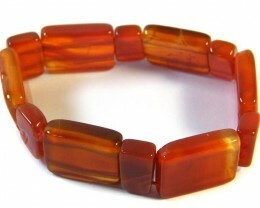 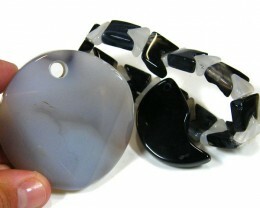 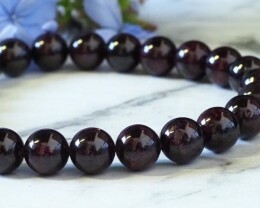 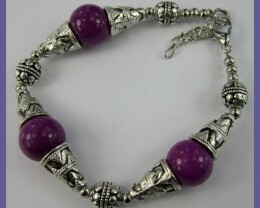 Agate bracelets can be joined by silver or plated metals or on elastic band or even made as bangle form one piece natural rock. 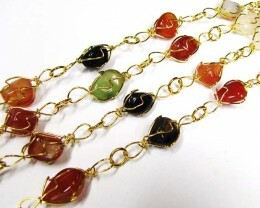 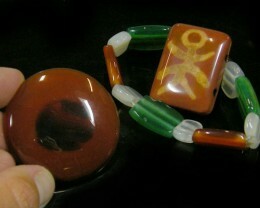 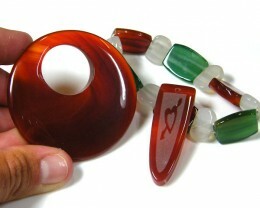 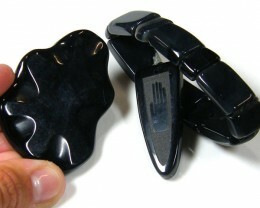 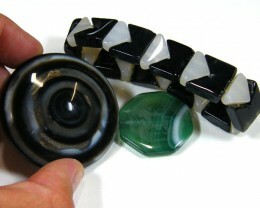 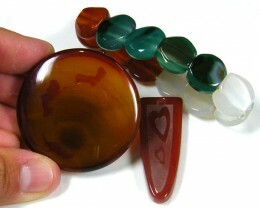 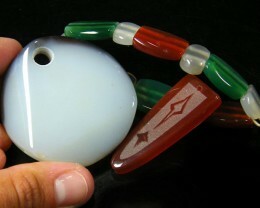 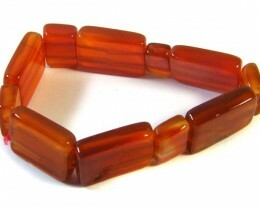 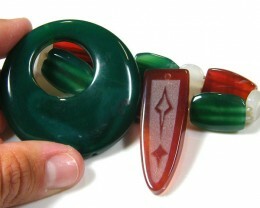 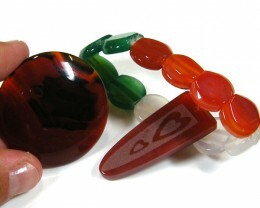 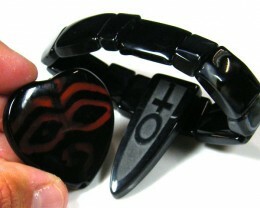 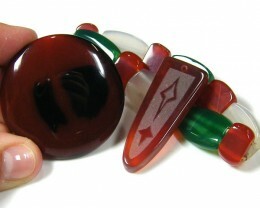 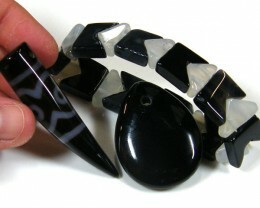 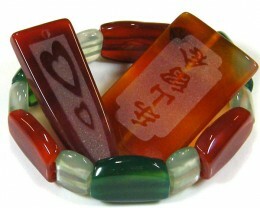 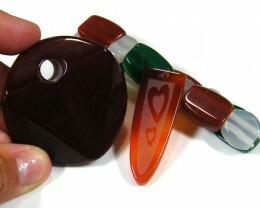 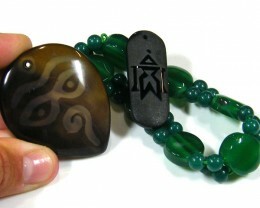 It is common practise to dye many agates. 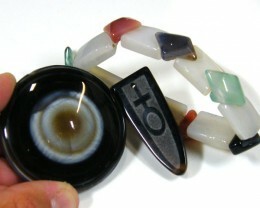 History states that for so many years man has been fascinated by agate for its variegated characteristic of contrasting colours/bands.